In the first motion of the newly elected Parliament the Prime Minister of Australia has said SORRY. Sorry to what had happened to all Aboriginals. Sorry in particular to those tens of thousands who were as children forcibly removed from their families never to be returned. Just like that sigh of relief heard with the occurrence of a major shift at a special moment during a constellation, a deep breathing out was almost audible throughout the whole nation when the Prime Minister spoke the word SORRY. The build-up that lead to this historic occasion in the Parliament of Australia on the 13th of February had been going on, for many, an agonisingly long time. It was only in 1967, just over 40 years ago, that the indigenous population of Australia, the Aborigines, were recognised as human beings by the government of the day. Yet, the practice of taking children away from their aboriginal parents to educate them ‘the white man’s way’ continued into the early 70ies. Early last century in wide and influential circles of the European population of Australia it had become the accepted view that the Aborigines are a ‘doomed’ race, unfit to survive the competition with the white settlers; any aboriginality in those of mixed race would be ‘bred out’ within a few generations, if contained. Since early last century there were an estimated fifty thousand children, most of them with mixed blood lineages, forcibly removed from their mothers to be put in orphanages or given to white families. Very few of them found that ‘Rabbit-proof Fence’ to lead them back to their roots. The struggles of people from this ‘Stolen Generation’, which in the last decade became the most visible part of the plight of the Aboriginal people in general, only highlighted myriad of other issues, in particular, the appalling gap between the living standards of indigenous Australians and the rest of the nation: -the life expectancy of Indigenous people is 20 years less; -the child mortality rate among indigenous people is 2.5 times higher; -only 38% of indigenous children complete schooling; -indigenous people constitute 20% of Australia’s prison population despite comprising only 2% of the total population and are 16 times more likely to die in custody; -indigenous juveniles constitute 42% of all juveniles in detention. Subsequently he commissioned an inquiry about the fate of these Aborigines that culminated in the report ‘Bringing them Home’. The report gives numerous heart wrenching accounts of misery experienced by those uprooted and makes a recommendation that the Australian government offers an official apology to those affected. By the time the commission handed in the report, Australia had a new government, which adamantly refused to issue an apology and continued doing so for almost eleven years of its reign. In doing so, it ignored the widespread and relentless efforts of many Australians who marched at Sorry Day marches, signed ‘Sorry books’ and worked tirelessly to keep reconciliation on the national agenda. The newly elected government under Kevin Rudd kept the promise made during the election campaign and went even a step further. For the first time in history, the traditional Westminster opening of Parliament was preceded by the ancient Aboriginal ‘Welcome to Country’ ceremony. The sights and sounds of traditionally clad and painted Aboriginals performing their ancient way of welcoming visitors to this ancient land with dance, chants and didgeridoo has changed the face of Australian parliament forever. Even the leader of the opposition pledged to enshrine the ritual in perpetuity. An Aboriginal Elder commented later: “Now we are meeting at eye-level, now you are our welcome guests”. We, the parliament of Australia respectfully request that this apology be received in the spirit in which it is offered as part of the healing of the nation. As Rudd continued on with the 361-word apology, indigenous and non-indigenous people wept in the public gallery and on the lawns outside the Parliament house in Canberra. Indigenous men and women gave a long standing ovation after Rudd’s speech. At city squares and parks across Australia, in schools and in many homes where thousands of people watched the direct broadcast of the speech, people cheered, applauded, hugged and cried after the apology was delivered. As “new Australians”, we both always felt some uneasiness about being allowed to settle in this country by a government which itself has never been welcomed by the original inhabitants. The words spoken by the Prime Minister, the acceptance of those words by the indigenous Australians, and the tears of the SORRY DAY made us feel much more at home. A good day to call oneself Australian! From the way the PM’s speech touched the soul of many of us, and touched the very soul of the Australian nation, it is clear to us that, although important, it is not only about the apology to the stolen generation. It is about the acknowledgment of all the past injustices inflicted in the process of white colonization. It is not only about apologizing either. Apology asks for forgiveness which can’t be asked for and it can’t be given. We hope that the spirit of this SORRY is about acknowledging the SORROW, that it is about grieving for all those “blackfellas” who were removed, displaced, killed AND also for those “whitefellas” who did the removing, the displacement and the killing. This SORRY is to be taken in the meaning this word has for most Aboriginals who refer to a grieving process as “SORRY BUSINESS”. It is obvious that this “business” is what reconciles us with each other, with our own past and takes us forward as a nation. Therefore, for our nation, the course of action is clear: that is, to deal now with what has become one of the darkest chapters in Australia’s history. This is not, as some would argue, a black-armband view of history; it is just the truth: the cold, confronting, uncomfortable truth – facing it, dealing with it, moving on from it. Whatever words I speak today, I cannot undo that. Words alone are not that powerful; grief is a very personal thing. I ask those non-indigenous Australians listening today who may not fully understand why what we are doing is so important to imagine for a moment that this had happened to you. I say to honourable members here present: imagine if this had happened to us. Imagine the crippling effect. Imagine how hard it would be to forgive. So let us seize the day. Let it not become a moment of mere sentimental reflection. Let us take it with both hands and allow this day, this day of national reconciliation, to become one of those rare moments in which we might just be able to transform the way in which the nation thinks about itself, whereby the injustice administered to the stolen generations in the name of these, our parliaments, causes all of us to reappraise, at the deepest level of our beliefs, the real possibility of reconciliation writ large: reconciliation across all indigenous Australia; reconciliation across the entire history of the often bloody encounter between those who emerged from the Dreamtime a thousand generations ago and those who, like me, came across the seas only yesterday; reconciliation which opens up whole new possibilities for the future. 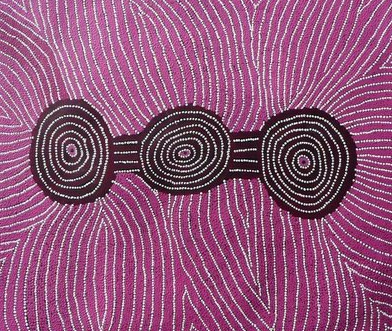 Liyarn Ngarn means Spiritual Bonding and Coming Together in Spirit in the Yawuru language of the West Kimberly. It could also be translated as Reconciliation. Lyarn Ngarn is a song written by Archie Roach, an Aboriginal singer-songwriter, which sounds like an anthem for reconciliation writen by someone who belongs to the Stolen Generation himself. It is also a title of the documentary that Roach made with the British actor Pete Postlethwaite and Aboriginal leader Patrick Dodson about the Aboriginal youth who died as a result of a racist attack in Perth 1992.
where the moon meets the sun.